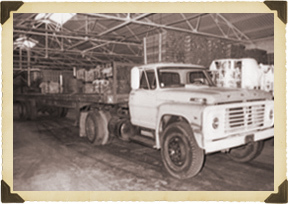 Fleenor Paper Company was established in 1962 by LeRoy Fleenor. Working as a typesetter and printer for a local newspaper company, he noticed a salvaging opportunity to utilize “waste paper” thrown into dumpsters daily. LeRoy created a homemade sheeter he pieced together with plywood, old pipes, a discarded motor, even his wife’s old carving knife. 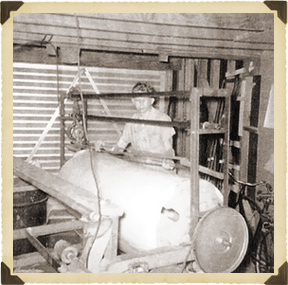 Reminiscent of other entrepreneurs, the business started in his garage where he used this sheeter to convert scrap paper into sheeted newsprint. Soon he sold his first pallet to Macy’s Movers, founding Fleenor Paper Company. By the late 1970′s, LeRoy had acquired and constructed several machines to service the moving & storage and printing and packaging industries throughout Northern California. In the early 1980′s, LeRoy sold his business to his son, Dr. Bill Fleenor and his wife, Janine Rochex. The couple soon introduced siblings Rebecca Fleenor and John Rochex to the family business. The four of them grew the company, relocated to a larger facility in Oakland, CA and opened distribution warehouses in Hawaii and Alaska. Today these warehouses provide a full range of packaging materials made by Fleenor’s manufacturing facilities, as well as products from other suppliers. In 1994, to support the company’s growth we acquired a manufacturing company in Macon, GA. With converting and manufacturing facilities on both U.S. coasts, we became a nationwide company, capable of consistently supplying quality products for our customers across the country. Subsequently, the focus of our growth shifted from distribution, to what we now do best: manufacturing. 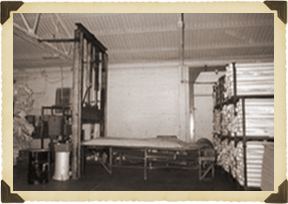 In late 1996, Rebecca Fleenor, John Rochex and Janine Rochex took over as sole proprietors of Fleenor Paper Company. In 2005, we acquired a converting company located on the west coast. Merging these assets with existing Oakland machinery we moved to a 130,000 sq. ft. warehouse in Stockton, CA. Our corporate offices moved from Oakland to Alameda, CA the same year. We were rapidly expanding and in 2010 and 2011 we acquired facilities in Mira Loma, CA. and Houston, TX. The owners honor and emulate the entrepreneurial roots of LeRoy Fleenor. We continue to purchase scrap paper, adapt and invent machines, and optimize processes to better utilize available paper supply. Most of the managerial staff has been with our company for more than twenty years and are key contributors to our success and growth. We take pride in our devoted employees, their loyalty and hard work speaks volumes to our company’s vision and values.